The Australian Competition and Consumer Commission will not oppose Saputo’s acquisition of Saputo after Saputo offered to sell Murray Goulburn’s Koroit dairy processing plant. 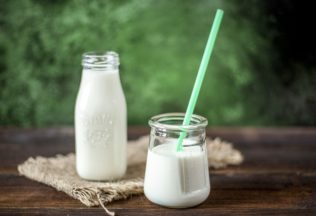 The Australian Competition and Consumer Commission (ACCC) had raised concern that if Canadian beverage giant Saputo was to acquire Murray Goulburn (MG) there would be less competition for raw milk in south-west Victoria and south-east South Australia. The ACCC was concerned as Saputo already owns Warrnambool Cheese and Butter and the acquisition would have given Saputo the region’s two largest dairy processing plants. Chairman of the ACCC, Rod Sims, said the offer to sell the plant has remedied the ACCC’s concerns. “The undertaking creates an opportunity for a viable competing milk processor to enter or expand in the local region,” Sims said. Sims said that the ACCC had carefully considered responses from a broad range of market participants when examining the acquisition. “We heard from and spoke with many farmers who expressed concerns with the ACCC intervening in this transaction in the short term because they wanted certainty and stability after a bumpy ride with Murray Goulburn,” Sims said. MG has confirmed that Saputo selling Koroit will not affect the terms of MG’s sale to Saputo, including the consideration MG shareholders will receive from the sale. The sale of MG to Saputo is subject to conditions that include approval by an ordinary resolution of MG’s voting shareholders and approval by the Foreign Investment Review Board.